Savannah Hill and Whispering Sand Bromo become the main destination for visitors to complete Bromo tour package, especially when the rainy season is going on. 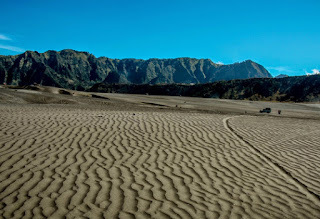 Savannah Bromo, Whispering Sand have similar attraction especially when foreigner visitors wish to make a photography. These interested places mostly visited by domestic and foreign visitors when They have finished doing Bromo trekking tour. 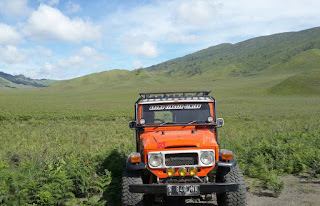 It is located at northern side from the Crater, about 1,5 kilometers, Savannah at Bromo mountain and Whispering Sand only possible reached by Private Jeep 4 WD for 15 minutes driving from Hotel around Cemoro Lawang. Savannah also called Bukit Teletubis, Its distance between Whispering Sands is very closes only bordered by Ider - Ider. 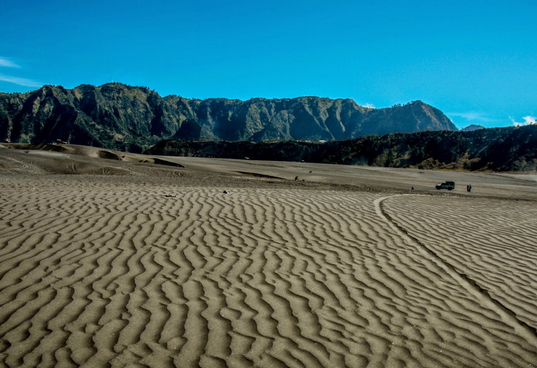 Whispering Sand is called Pasir Berbisik in Indonesia language, Most film creater use the Savannah Mount Bromo, Since these places lush of green grass also a massive Whispering Sand desert surrounded the volcano. Whispering Sand is a massive smooth sand usually result a toned voice like whispering something when someone talk any word by low voice and Savanah Hill is green grass surrounded by high volcano, Its very suitable used as Bromo Milky Way tour for Perwedding tour, Shooting for romantic film, Photo Pose and selfie, a massive green grass consist of Benggala Grass, Sawi Langit or Vernonia, Vaccinium varingaefolium, Akasia (Acacia decurrens), Kemlandingan (Albitzia lophanta) and Adas (Funiculum vulgare). various grass grow in this terrain make creat a special name as Savannah Hill. 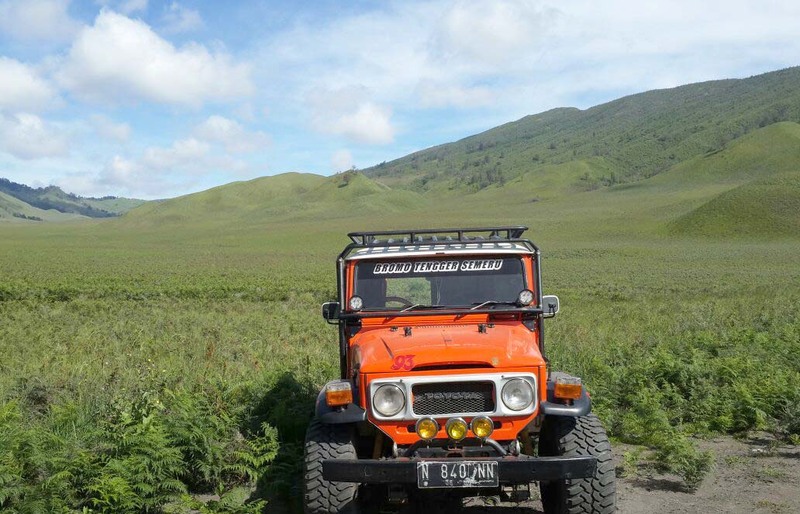 The best time to enjoy Savannah, Whisper Sand Desert is in early morning after finish enjoy Bromo Sunrise tour from the highest peak, You can do trekking tour, and also by Private Jeep 4 WD. To complete your trip, If you still have more time, You can continue Madakaripura Waterfall tour to see amazing Waterfall near Bromo mountain durated for 1 hour by car from your hotel. Detail Information about tour package option, tour package price, facility, accommodation and Nature Tourism in East Java, Indonesia, You discuss with Our partner.